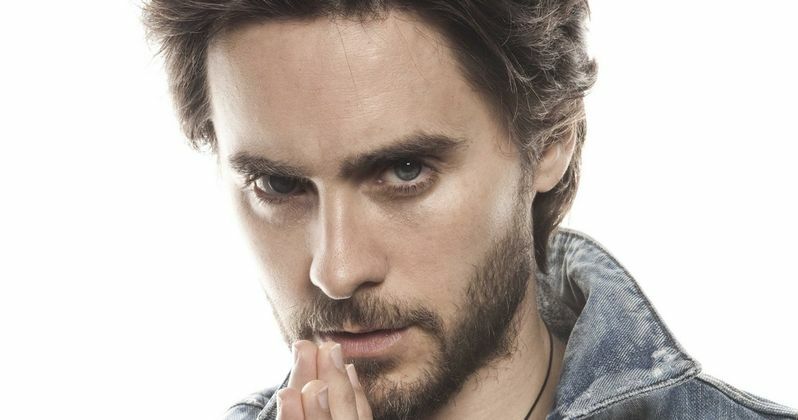 Does Marvel Want Jared Leto to Play Doctor Strange? /marvels-doctor-strange-gets-sinister-director-scott-derrickson/Shortly after it was announced that Sinister and Deliver Us from Evil director Scott Derrickson is taking the helm on Marvel's Doctor Strange, Badass Digest claims that Marvel and Disney are eyeing Jared Leto for the lead. This, of course, has not been confirmed by Disney or Marvel. The news comes from a source deep within Marvel, who claims the studio has been looking at the Dallas Buyers Club Oscar winner and 30 Seconds to Mars front man for quite some time. Though, Badass Digest doesn't know if Marvel and Disney are still interested in this particular choice. The same story also reports that Scott Derrickson sought out Doctor Strange as a writing project before becoming interested in it as a director. While that may or may not be true, the original story did not mention a writer's name being attached to the project. Doctor Strange is believed to be in the same tone as Iron Man, with the story focusing on brash, cocky young neurosurgeon Stephen Strange. He suffers an accident that ruins his hands and ends his career. Traveling deep into the Himalayas, he becomes a student of the Ancient One and learns to use magic, becoming the earth's protector, saving humanity from any number of mystical threats. The Dread Dormmamu has been the villain in early drafts of the script, with the latest rewrites rumored to contain three separate villains. While Doctor Strange begins to heat up, Marvel is still desperatly searching for an Ant-Man director.